I’ve got a refreshing cocktail for y’all just in time to say cheers on St. Patrick’s Day: an Irish Mojito! 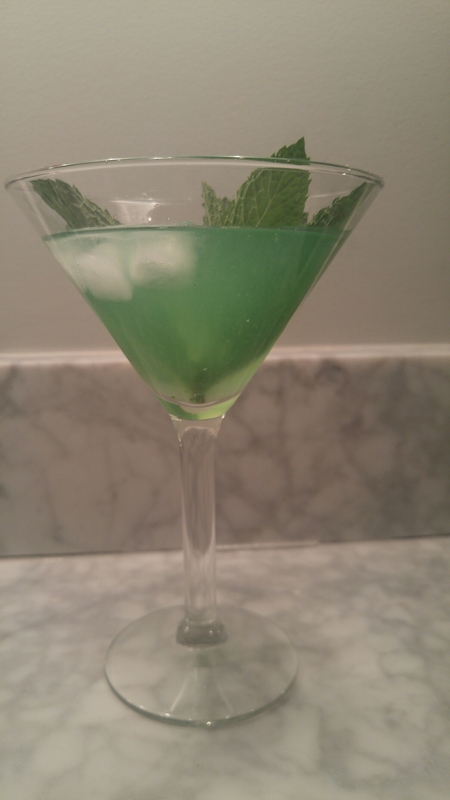 Bright and a little on the dangerous side (because you can’t taste the alcohol), the Creme De Menthe gives this cocktail a minty flavor and a festive pop of green color. It’s fruity and just the kind of thing I love to sip on while watching the parade go by in the 80 degree Savannah, Georgia “spring” weather. Because there’s a ton of fresh citrus juice in this recipe, an electric juicer comes in handy. You’ll need a pitcher a little larger than 2 quarts. Don’t forget extra mint and fresh lime slices for garnishing. These drinks also complement my Green Mint Chocolate Chip Cookies to a T.
In a 2 1/2 court pitcher, muddle mint and sugar until fragrant and combined. Pour remaining ingredients into the pitcher and stir. Serve over ice. 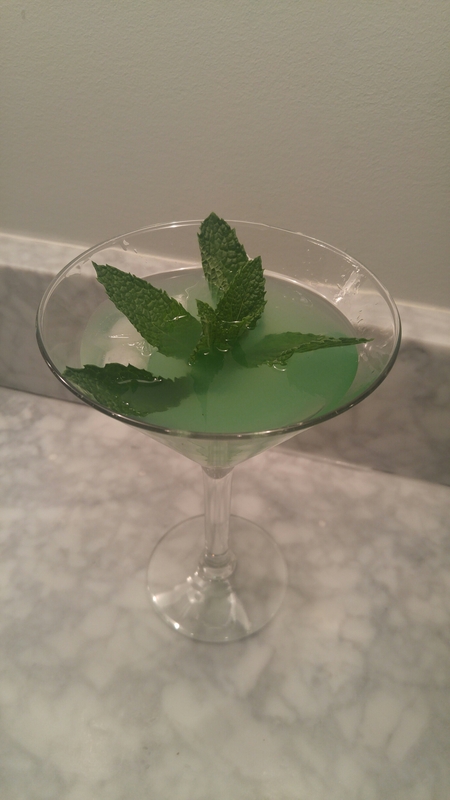 Garnish with fresh mint and lime wedges. Cheers! Another good one! If only I had some fresh mint. Sounds delicious.